I can't believe it's been a year. Winston is the cutest, most smiley, happy baby. 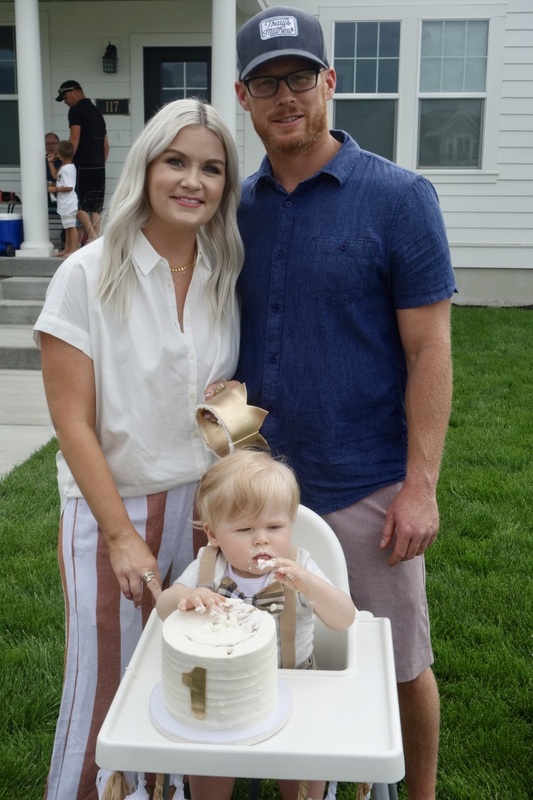 He turned one last Sunday and we had an amazing time celebrating with family and friends. 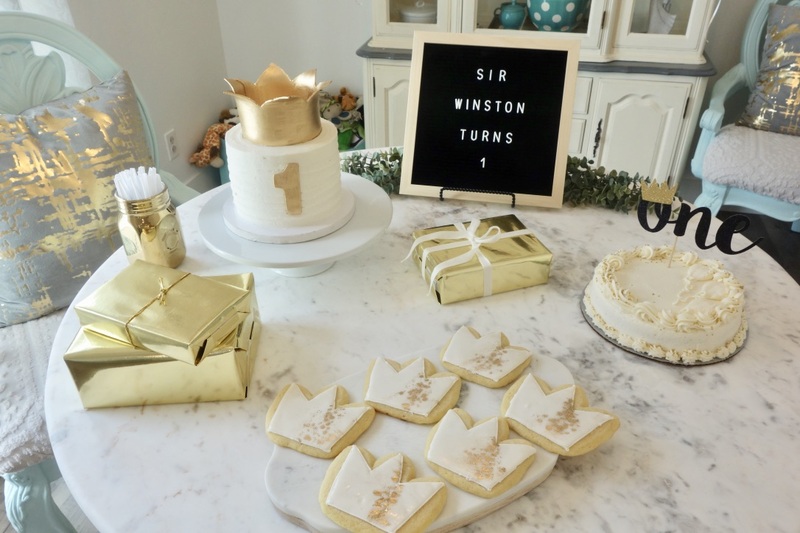 A couple of our friends call him "Sir Winston," so it was only fitting that we plan a royal event with a crown theme. 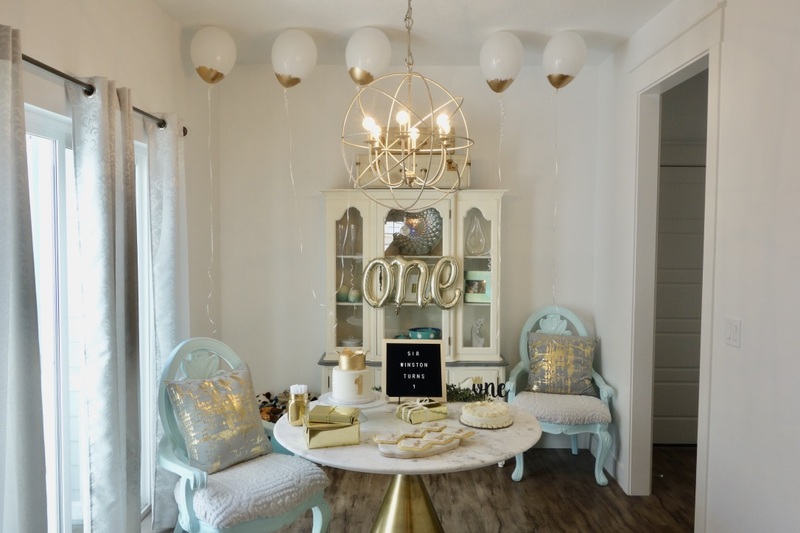 I'm sharing all of the details and a party pics. I ordered a crown cookie cutter, and had special cookies made for the party. It was such an easy way to tie in the theme. The crowns were a hit with the kiddos. 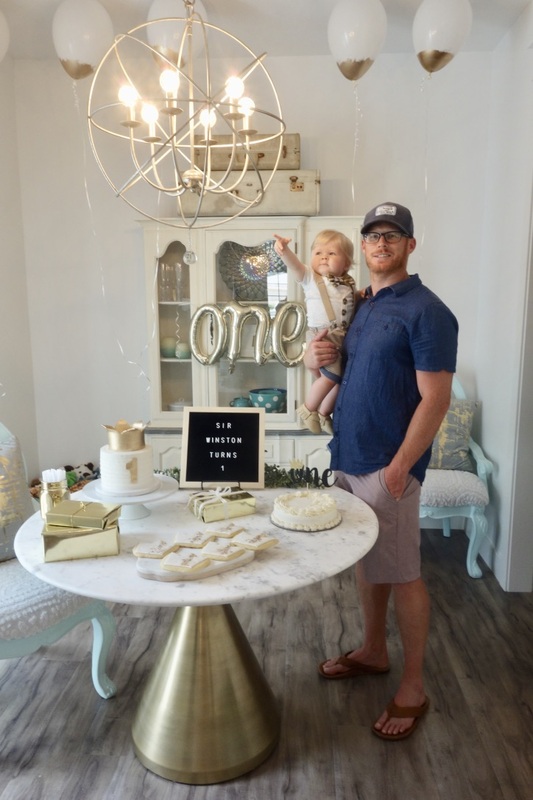 We snagged this table during a 4th of July sale and it came just in time for the party. 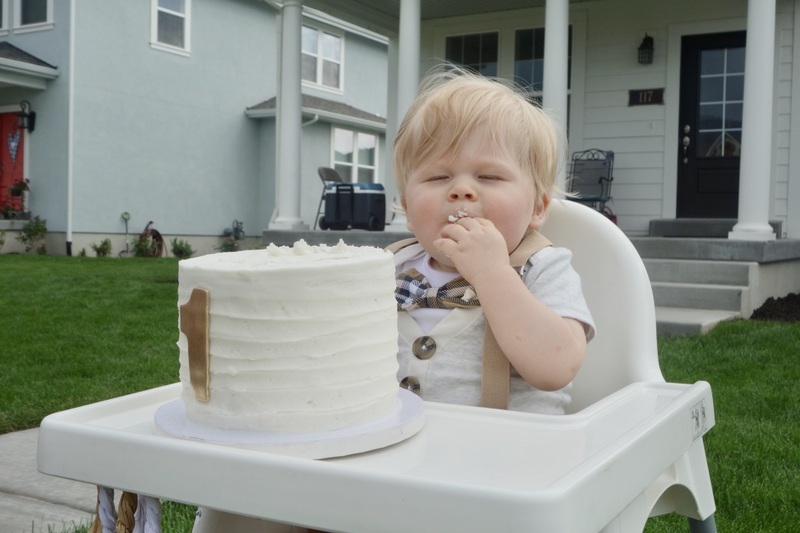 He wasn't quite sure what do when we set the cake in front of him. 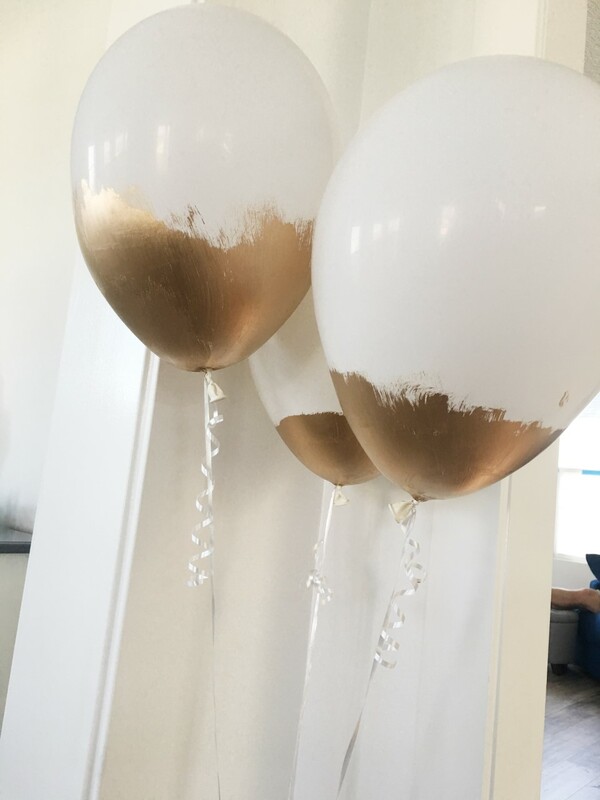 The balloons we used were white latex painted with liquid gold leaf. 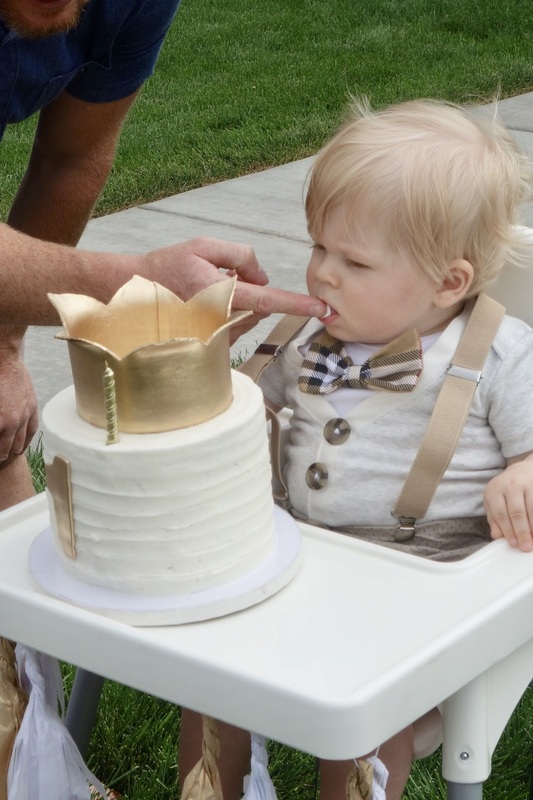 He started slow, but loved the frosting. 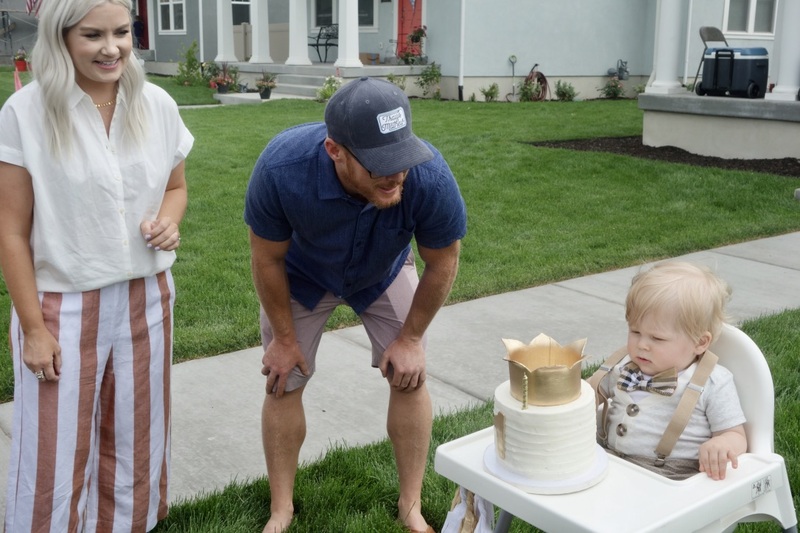 This is right before he pushed the cake onto the grass. I have these moccasins in several colors and they're the cutest. Super easy to slip on and great quality leather. He scrapes his on the ground all day in a walker and they just wipe clean. Winston is wearing "Latte." Thank you! Definitely try it. Just buy a cheap paint brush and toss it after. You only need a little to make a balloon look fabulous. 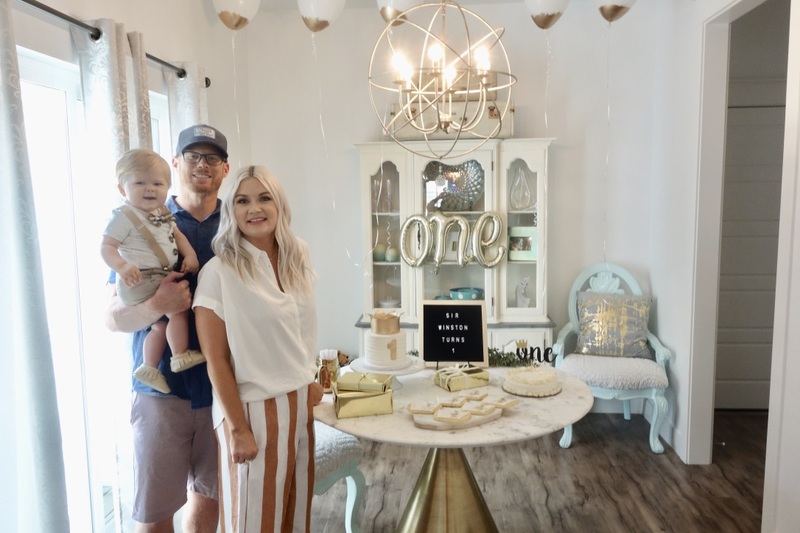 Is it just me, or does this scream "Pinterest win"? I mean, I'm blown away! My adult birthday parties don't look this beautiful. And your baby is an angel! Thank you so much. It was his first, so I thought, this is my chance to go big :) Glad you love it. Your son is so cute and handsome! 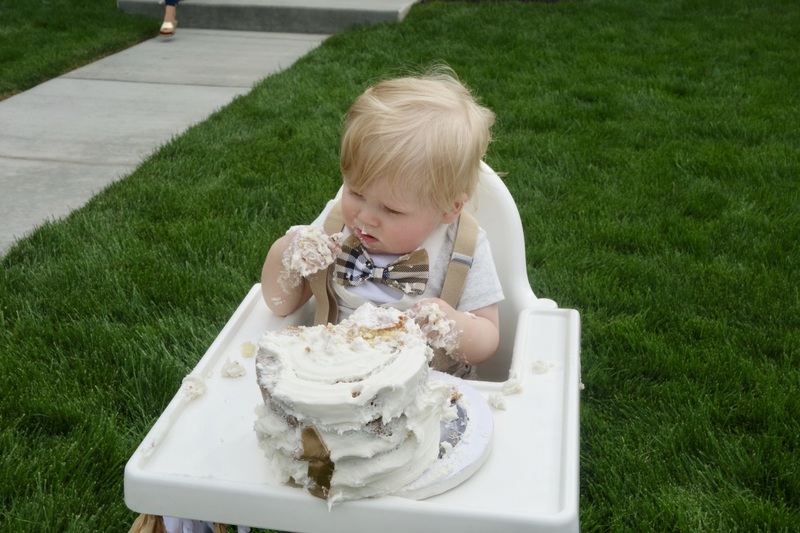 I love the expression on his face as he eats the cake! Beautiful decorations! 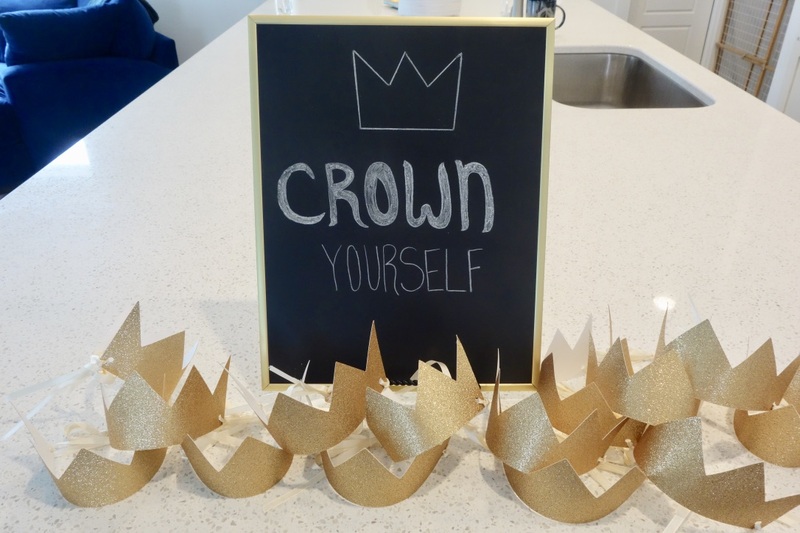 The crowns are a clever addition to the theme of the party. Thanks for stopping by. I had a blast decorating. Sir Winston is so handsome!!! Happy Birthday!!! 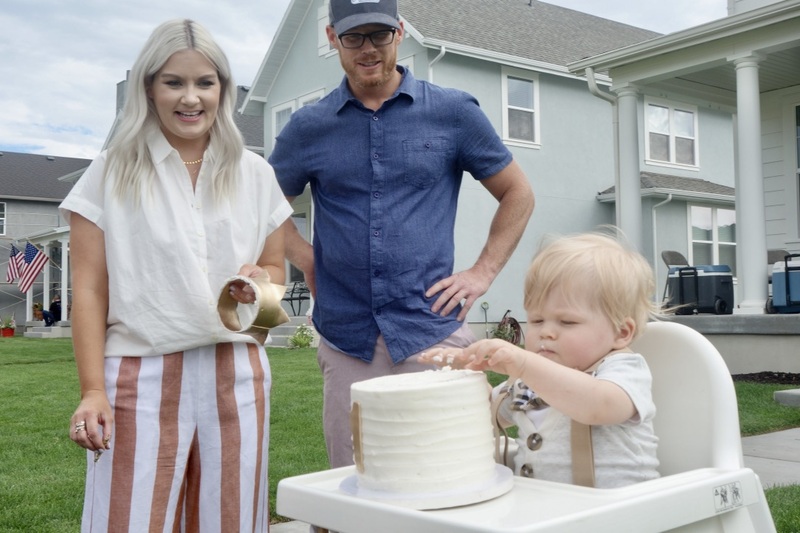 I find it hilarious that he didn't know what to do with the cake at first because my son was the same way. He just looks it and slowly started poking at it lol! 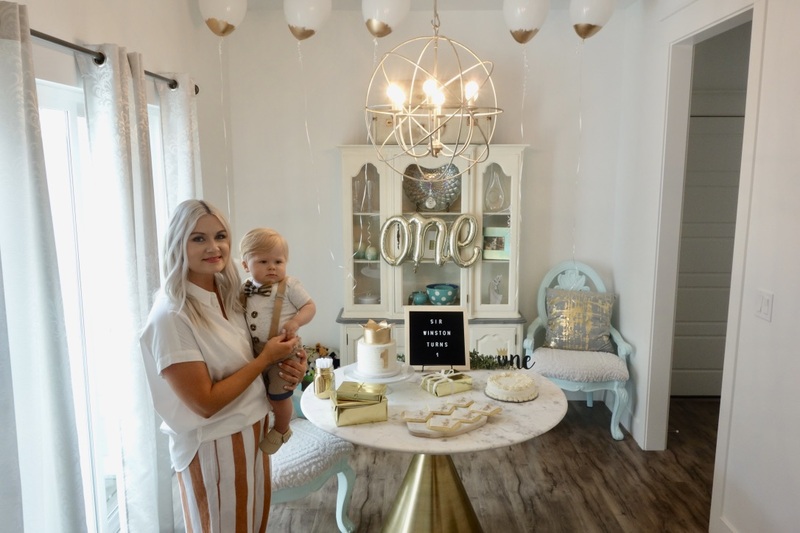 Your birthday decorations were beautiful as well. 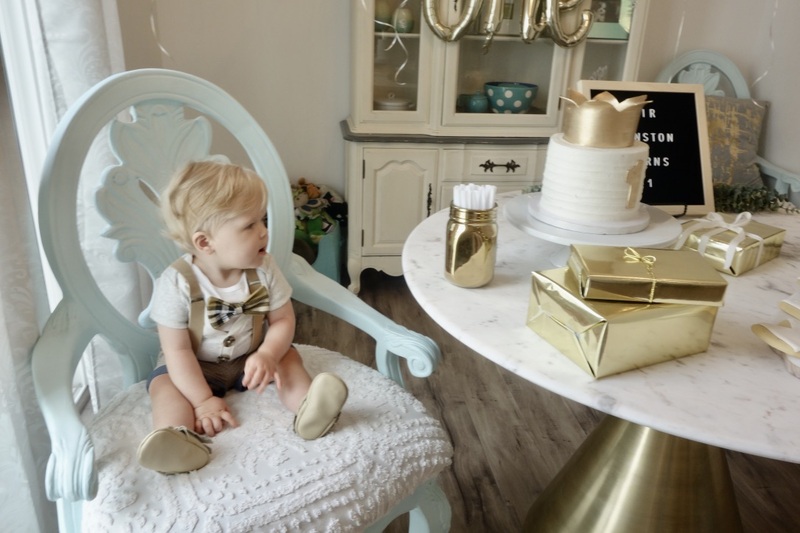 I'm sure Winston had a fun time for his first birthday party! Thank you. it was a blast. Yes, so hilarious. They have no idea what to do with it. Oh my gosh adorbs! what a cute theme! Happy Birthday buddy! Wow! This one is classy! 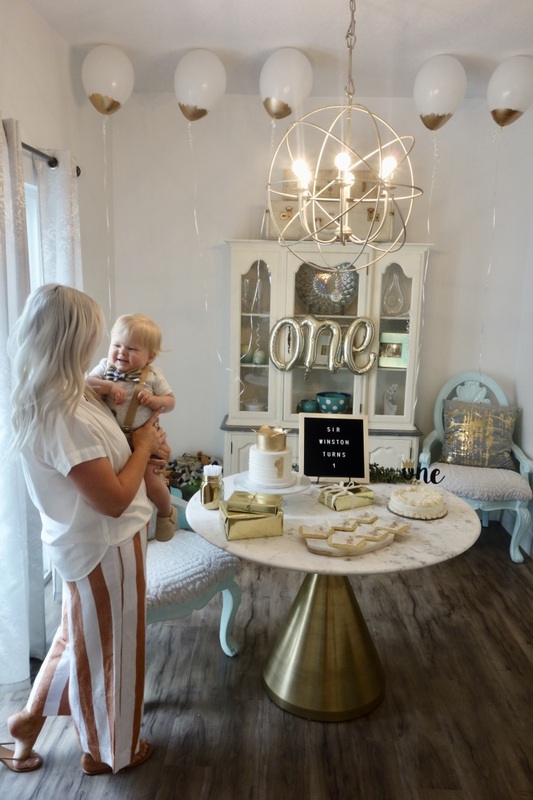 Mostly kids’ birthday decorations are colorful but you have picked up a very different theme and it looks fantastic. 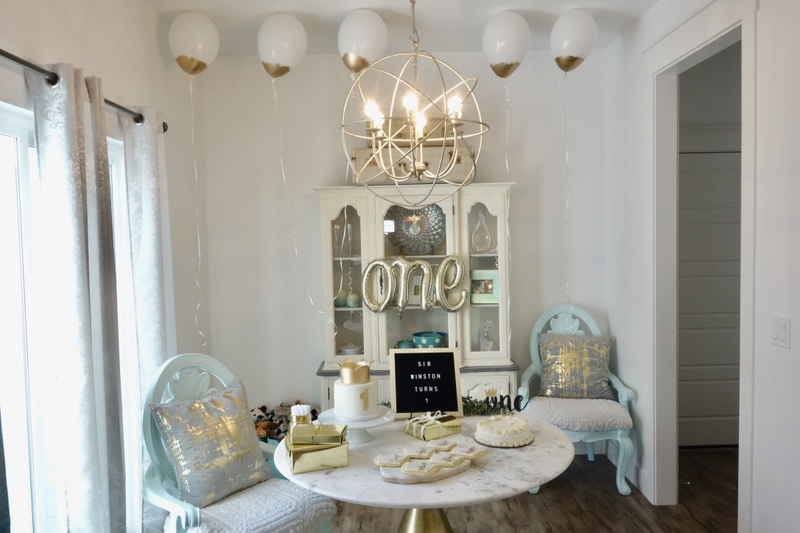 My sister’s birthday is also around the corner and this theme would be perfect for decorating one of the Venues in NYC for her birthday celebration.